In collaboration with renowned live music venue, Belly Up Aspen, The Après is a brand new three-day music and mountain festival that will be held at the base of Buttermilk at the same venue as X Games Aspen. During Buttermilk's closing weekend, the festival will kick off with Umphrey's McGee on Friday, April 5 followed by back-to-back nights of jamming by The String Cheese Incident. Additional bands and programming will be announced in the coming weeks, including late-night shows at The Belly Up in downtown Aspen. 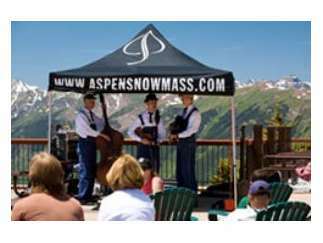 Aside from musical performances, all four Aspen Snowmass mountains will be open for skiing, riding and celebrating spring.